Garson, G. D. (2013). Cox Regression. Asheboro, NC: Statistical Associates Publishers. Cox regression, which implements the proportional hazards model or duration model, is designed for analysis of time until an event or time between events. If the dependent variable is not time to event but rather is count of events, then a logistic or other model may be appropriate instead. For any given predictor variable, Cox regression results in estimates of how much the predictor increases or decreases the odds of the event occurring and whether time to event is increased or decreased. The central effect size measure is the hazard ratio (a form of odds ratio), which can be used to assess the relative importance of the predictor variables. In Cox regression, one or more predictor variables, called covariates, are used to predict a status (event) variable. The classic example is time from diagnosis with a terminal illness until the event of death (hence survival analysis). Cox regression is also used for policy adoption/diffusion studies to better understand factors leading to policy adoption (see Jones & Branton, 2005). There are a wide variety of Cox models beyond the basic model using time-constant variables. Stepwise Cox regression is an automated procedure for exploratory purposes in constructing a model with optimal predictions. 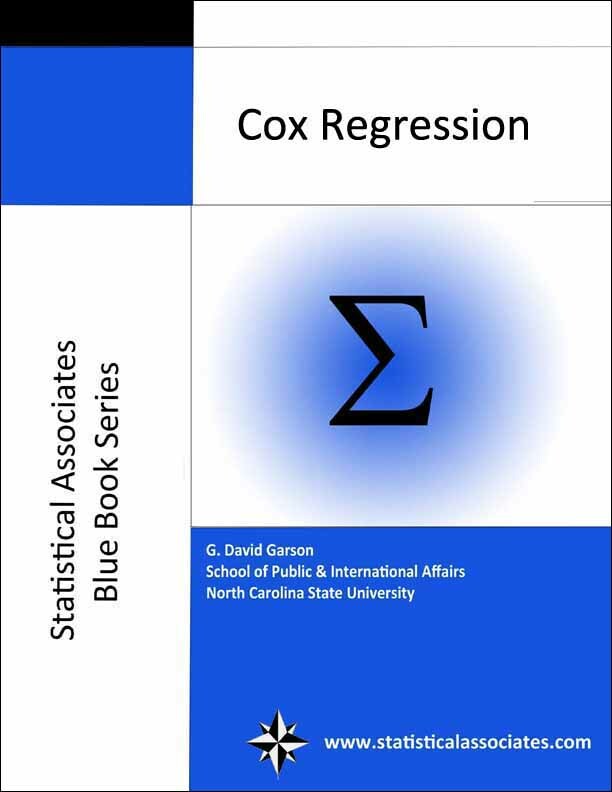 Stratified Cox regression is a method used when the same baseline hazard function cannot be assumed for a predictor variable but instead the baseline function must be allowed to vary by level of the categorical predictor. Time-dependent Cox regression handles time-varying predictor variables and comes in two flavors: discrete time-varying and continuous time-varying models. Frailty models extend Cox regression to handle linear mixed modeling situations where observations cluster at the individual level. That is, frailty models handle dependent data such as repeated measures, which would otherwise violate the assumptions of Cox regression. Finally, there are several types of multiple events Cox models, which handle situations where the event of interest may be experienced more than once or where there are multiple event types. All these are discussed in this volume.